1949 Buick Super Sedanette Photo Picture Classic Cars for sale & Classifieds - Buy Sell Classic Car & Classic Truck Classifieds. 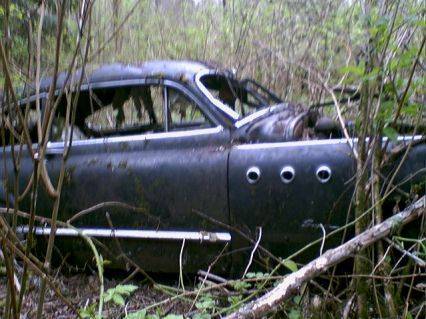 Ian sent in this Rusty Ride photo of a 1949 Buick! This car looks pretty rough. The roof looks as though there could be some damage. This is worth a bundle.......where is this??? Not a very good picture.